Bass ramps might be new to many people. I was first asked to make one a few years ago but it's becoming a bit more common since then. 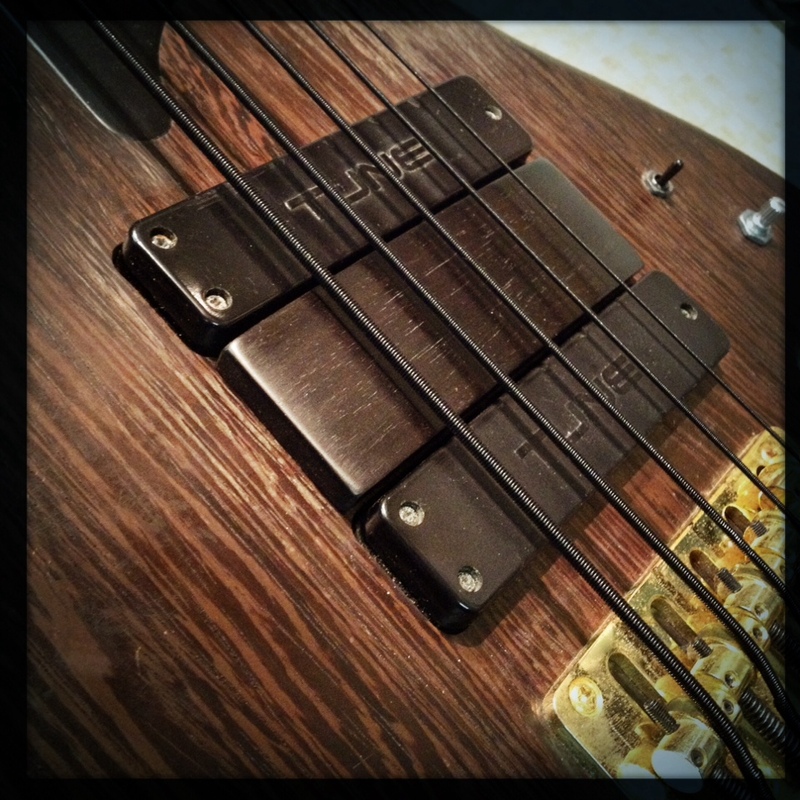 A lot of bassists swear by them but what is a bass ramp? 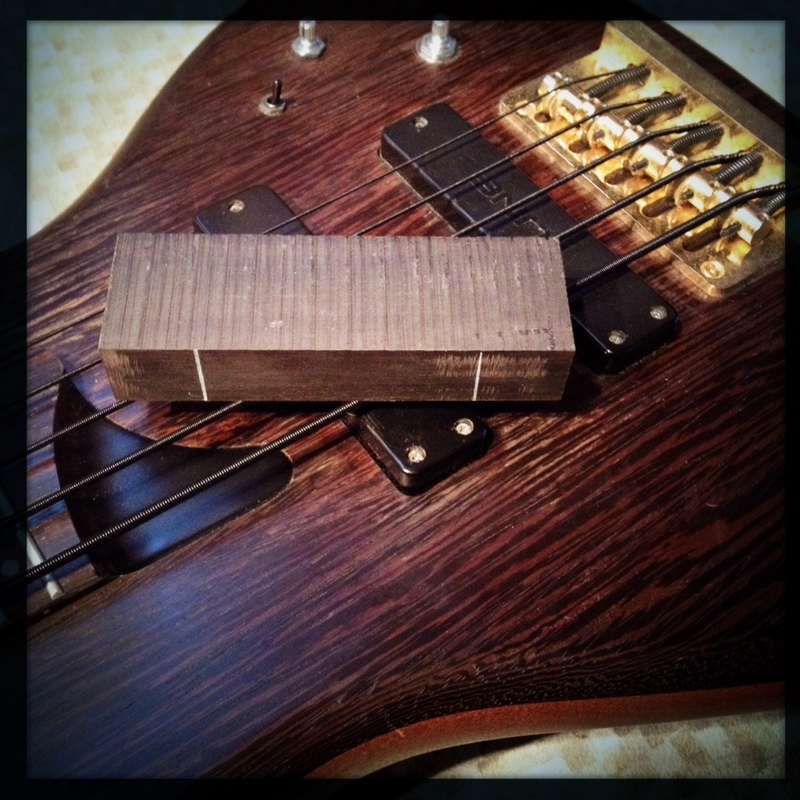 Essentially, it's nothing more than a block of wood that's shaped to fit under the strings somewhere on the body (where depends on a couple of things—mainly any physical limitations of the bass and the location where the bassist plays most often) . 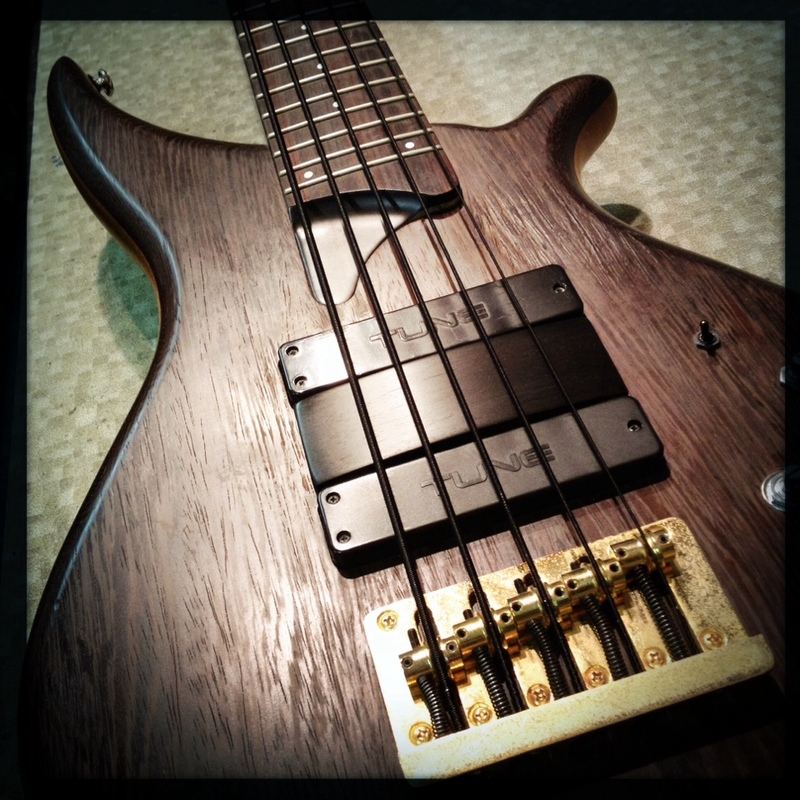 The top of the ramp is radiussed to match the radius of the fingerboard and the ramp's height allows some clearance for the strings. Not too much—the idea is to reduce the 'space' under the string so your fingers don't dig in so much. This provides a more consistent playing style and many people find it allows a faster right-hand technique. I reckon you need to try it yourself to find out for sure. I'm very far from the world's best bassist but, personally, I find I can play a bit more quickly and, when I do, I'm more accurate with my right-hand. Of course, your mileage may differ. The ramp in the photos sits between the pickups. It's made of ebony which is a pretty common material for a ramp but other woods are possible if that's your thing.